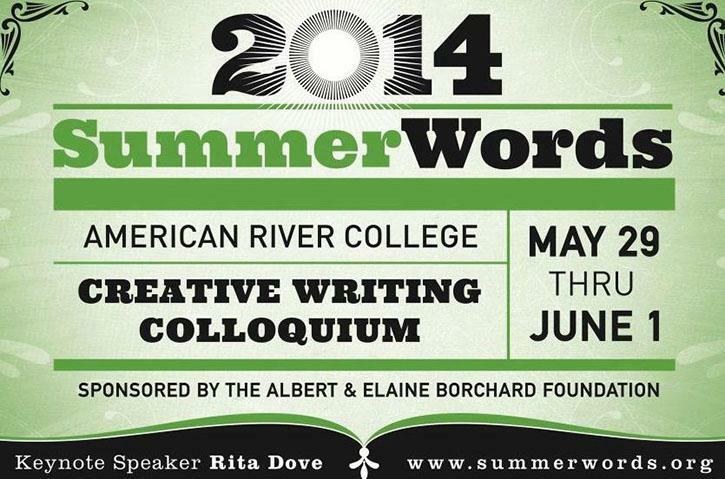 Each summer for the past three years at American River College, the English department has presented Summer Words: a three-day creative writing colloquium that includes workshops, readings, and panels. This summer, former Poet Laureate of the United States and Pulitzer Prize winner Rita Dove will be coming to ARC as the keynote speaker for the event. From May 29 to June 1, faculty from ARC’s creative writing department, along with published authors and poets, will be holding panels and workshops presented by faculty and published authors, geared towards generating interest in ARC’s highly successful creative writing department. “It’s a three-and-a-half day event that is all-day creative writing panels, workshops, readings. It’s the American River College creative writing faculty, but then it’s also a number of guests, most notably a keynote speaker,” said English professor Michael Spurgeon, who is currently organizing the event. Since ARC English professor Christian Kiefer developed the idea for Summer Words three years ago, various ARC faculty have donated their time to support and develop the program, which sees an increase in participants every year. The second objective of the colloquium is to generate interest in writing among students. Community accessibility remains a strong focus for the committee in charge of Summer Words. Spurgeon feels that students at ARC, who he notes are a contributing factor to the success of the creative writing department, should attend Summer Words for the opportunity to develop writing skills and have fun. “I think one of the reasons we have such a robust creative writing faculty is we’ve got a robust creative writing student body. I think, particularly for students who are interested in writing, it offers a rare opportunity to interact with not just the faculty, but a number of published writers in a fairly intimate setting. It’s just three days of fun,” said Spurgeon. The deadline for currently enrolled students to apply for a scholarship to attend the event free of charge is April 15. Scholarship applications can be located at SummerWords.org. 1 Comment on "Summer Words colloquium brings Pulitzer Prize winner to ARC"